Traditional toolmaking expertise lies behind the success of Bartling Designs Ltd. 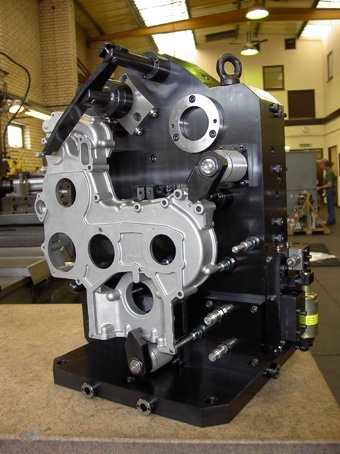 Since 1976, this Kent-based company has been designing and manufacturing manual and hydraulic workholding fixtures for CNC machining centres. A high percentage of Bartling Design Ltd’s customer base lies within the automotive industry where high levels of accuracy, reliability and repeatability are crucial. 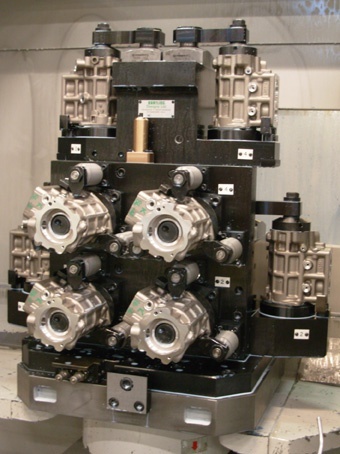 The demanding standard that Bartling Designs Ltd applies to its fixtures design also applies to the components specified, which is why the company has been using Roemheld hydraulic clamping elements for over 25 years. This emphasis on quality and reliability is one of the reasons that Bartling Designs Ltd continue to use Roemheld components. The company has considered other suppliers, but always come back to Roemheld as they deliver the whole package of quality, reliability and service. The Roemheld components are simple to use and install and once on a fixture, they need little maintenance and are extremely reliable. An important consideration for Bartling Designs Ltd, which takes pride in its reputation for pursuing the highest standards in design and manufacture. Customers from throughout the UK approach Bartling Designs Ltd knowing they can specify what they want to produce and the machine they want to use for production and the right solution will be developed for them within the parameters given. The expertise of over 31 years in business means that Bartling Designs Ltd can offer a combination of inventiveness and practical solutions that can help customers refine their approach to machining to provide the most appropriate operational solution. The success of Bartling Designs Ltd success lies in its operation of high principles of methods and application, with a focus on effective location, nesting and restraining and the belief that forces should be used sparingly and judiciously. This ethos has been particularly relevant in the work the company does on Turbine and fan blade technology, where locating and holding the blade in place without influencing protocols calls for inventive and highly technical fixturing solutions. The company also prides itself on trialling all machining and the use of the fixtures before they are delivered to make sure they are fit for purpose. Ensuring any unforeseen machining issues will be resolved well before the customer takes delivery. In an environment where design engineers are becoming increasingly thin on the ground, Bartling Designs Ltd believes that skilled people are key to its strong reputation. It employs 24 staff and continues to invest in increasing the skills base of its employees. The company services companies at all levels of manufacturing including machine tool, automotive, aerospace, medical and mechanical handling. installed 3D modelling using Solid Works software. The move away from volume manufacturing within the UK to more of a focus on niche manufacturing has proved a boon for Bartling Designs Ltd. This increasing need for specialisation allows Bartling Designs Ltd to trade on its expertise while removing the level of competition that used to exist within this market sector. Bartling Designs Ltd operate a bespoke service, and can respond easily to customers’ current needs and their changing requirements. By providing innovative fixturing that uses quality components from suppliers such as Roemheld, Bartling Designs Ltd can offer customers the expertise and functionality that their projects demand.